Hypotension (low blood pressure) is a problem for many nursing home residents, causing dizziness and fainting. 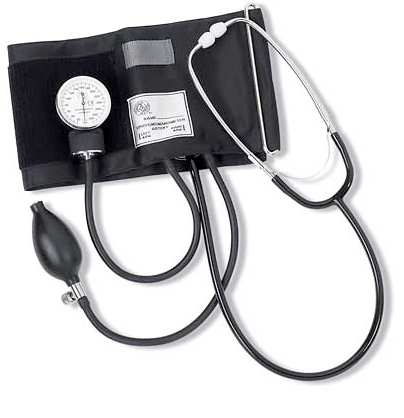 Blood pressure readings measure the pressure in arteries – systolic pressure (the top number in a reading) measures the pressure the heart generates when pumping blood out to the rest of the body and diastolic pressure (the bottom number in a reading) measures the amount of pressure between heartbeats. A systolic blood pressure of 90 millimeters of mercury or less or a diastolic blood pressure of 60 millimeters of mercury or less is considered low. Orthostatic hypotension, also known as postural hypotension, occurs when a person’s blood pressure drops after changing position from lying down or sitting to standing as blood pools in the legs leaving less blood to circulate back to the heart. In the elderly, orthostatic hypotension can be caused by changes in blood pressure regulation due to aging, dehydration, and certain medications. Common causes of orthostatic hypotension include dehydration, medications, heart problems, diabetes, and nervous system disorders; all of which are common in the elderly. Dehydration can occur easily in nursing homes because of sickness or inadequate care. Also, many drugs commonly prescribed to the elderly including diuretics, high blood pressure medication, heart medication, and drugs to treat Parkinson’s disease can all cause orthostatic hypotension. Orthostatic hypotension is more common in older adults, with over 15% of persons 65 and older suffering from it. In addition, about 50% of elderly nursing home residents suffer from orthostatic hypotension. Elderly patients, especially those who are heavily medicated or have prolonged bed rest, are especially at risk. Nursing home patients are also at risk for dehydration if they do not receive adequate care. Orthostatic hypotension can cause dizziness, light-headedness, blurry vision, nausea, and fainting, which can cause dangerous falls. Elderly persons are particularly vulnerable to falls because of weak bones and complications from other health problems. Orthostatic hypotension can also cause strokes due to the changes in blood pressure and mental impairment because of brain damage. Elderly nursing home patients should be properly diagnosed by a physician because not all dizziness is caused by orthostatic hypotension. If properly diagnosed, extra care can be taken with patients to prevent dangerous falls. Nursing home staff should take added precautions in the morning, when residents are first getting out of bed because that is when they are most at risk for a drop in blood pressure. The staff should also ensure that elderly residents are adequately hydrated, avoid hot weather, stand slowly, increase salt intake, and even apply compression stockings to help reduce symptoms. These simple steps can make the difference between a healthy and safe nursing home resident and one injured by a severe fall. If your loved one suffered a nursing-home-related-fall and are looking for an explanation, one of the fist areas that should be analyzed is to see what medications the individual was taking. Nursing home staff has a duty to do an assessment of all residents– including a medication review— to determine their ‘risk’ of falling. A failure to do such an assessment– or if it was improperly conducted opens the facility to potential fall-related liability.